Last week I had a meeting with my book club. Unfortunately, I didn’t read the book because I’m busy/lazy/[insert excuse here]. 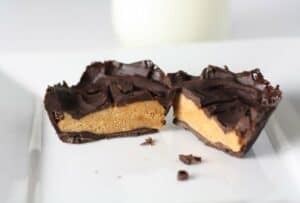 I figured that I had to make up for the fact that I didn’t read the book by making some really excellent food also known as homemade peanut butter cups. I went with a chocolate and peanut butter dessert because I figured that that would be an easy way to calm the masses. I also brought a bottle or two of wine which never hurts. These guys were spectacular. 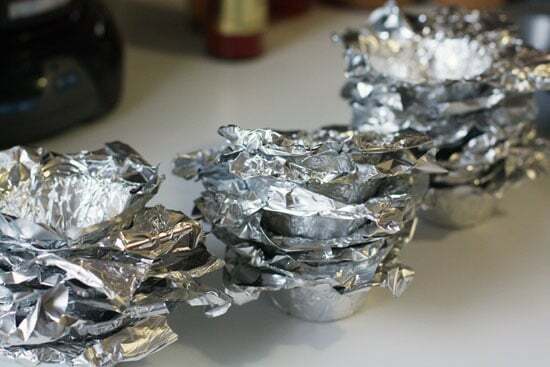 Step one if you really want to make these guys is to go to the store and buy the metal cupcake tins that way you don’t have to do what I did, which is make 24 cupcake tins out of aluminum foil. Why did I think this was a good idea? I don’t know. A part of me just wanted to see if it would work (it will), but also I was just too lazy to go to the store even though it probably would’ve been faster. 4 ounces butter (1 stick). You may need another half stick, or some milk, if your chocolate gets too thick between layers. 16 ounces (1 jar) peanut butter. I like creamy. 1 Teaspoon cinnamon, cayenne, or some other interesting spice. Totally optional. 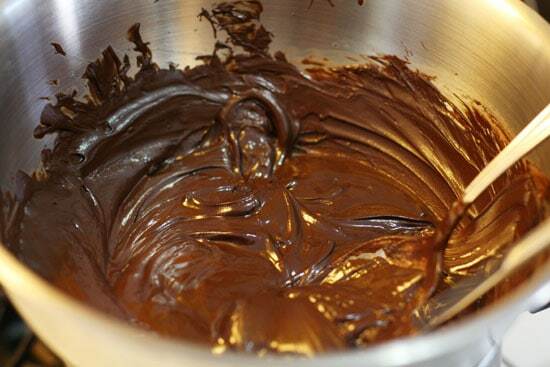 1) Use a simple double boiler to melt chocolate. Get a pot of water boiling and then just set a stainless steel bowl over the boiling water with the chocolate and butter. Stir it occasionally and eventually it will melt together. 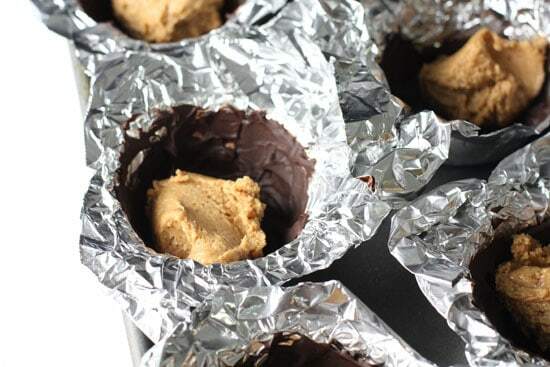 2) Place foil cups into the metal cupcake pan. 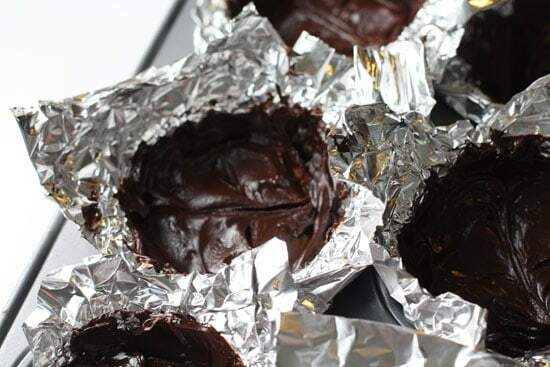 3) Using a knife, carefully spread some chocolate on the bottom of each tin and along the sides. 4) Stick in the freezer for about 20 minutes to get super hard. 5) While your cups are cooling keep your chocolate warm, but turn your water down to low. 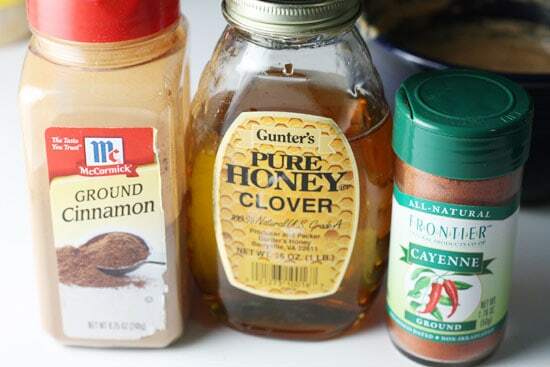 6) Mix some of the peanut butter with sugar and honey, some with cinnamon, and some with cayenne. 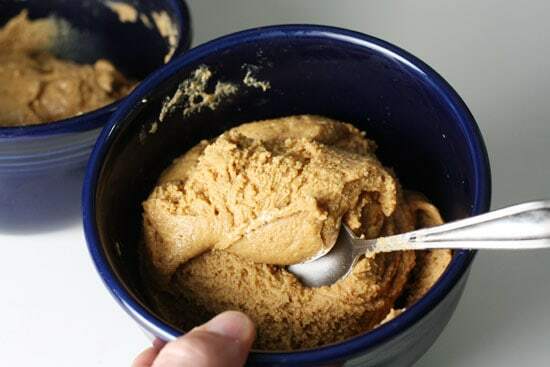 7) Add a Tablespoon of the peanut butter mixtures to eat cup. 8) Smooth out the filling using a knife to create a level layer. 9) Put the cups back in the freezer for 10 minutes or so. 10) Using a knife, spread on some of the chocolate over each cup. 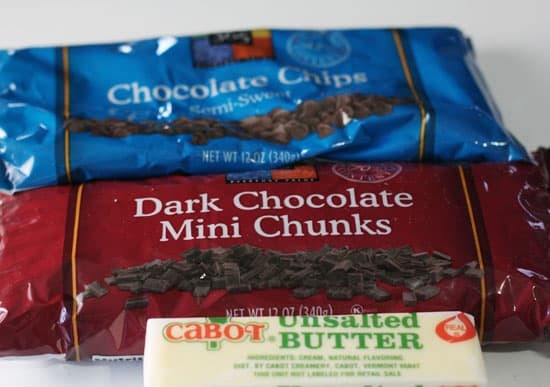 11) Stick these back in the freezer for 15 minutes to set and then move them to the fridge to store. 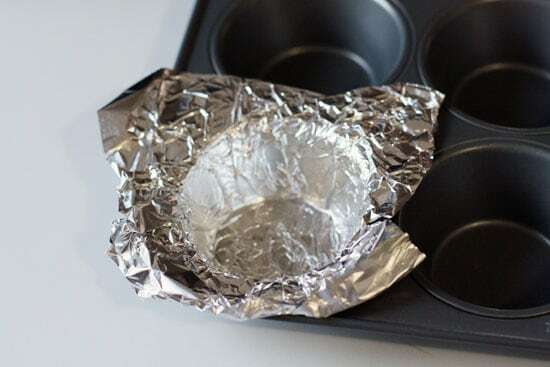 But, if for some absolutely crazy reason, you want to make the tins, get a muffin pan and a square of foil and carefully cram the foil into the mold. Make sure all the edges are flat and be careful not to puncture through the foil. I got pretty fast at this, but it still probably took me 30 minutes to make 24 tins. This was the hardest part of the entire recipe. So, learn from me. Buy them. This took longer than a trip to the store. Assuming you have your tins all set, you can get down to business. I like to use a simple double boiler to melt chocolate. Get a pot of water boiling and then just set a stainless steel bowl over the boiling water with the chocolate and butter. Stir it occasionally and eventually it will melt together. And you don’t have to worry about scorching it. I think you could also melt it in the microwave using a microwave safe dish. Just nuke it for 30 seconds at a time until it melts, stirring well after every 30 seconds. Soon you’ll have a smooth and creamy chocolate. The hardest part about this recipe is making the bottom/sides of the chocolate cup. The easiest way I found to do this was to put my homemade cupcake foils back into the metal cupcake pan which gives them some structure. Then, using a knife, carefully spread some chocolate on the bottom of each tin and along the sides. I went up about halfway on each tin. When all of them are done, stick them in the freezer for about 20 minutes to get super hard. 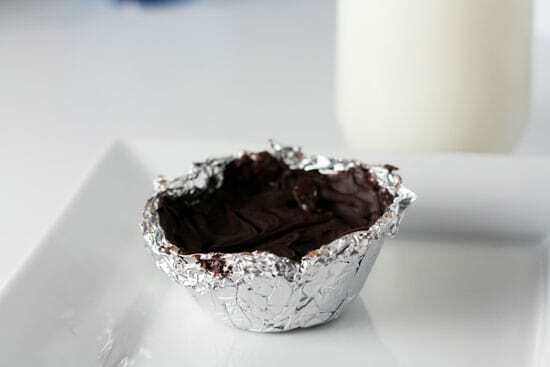 While your cups are cooling (keep your chocolate warm, but turn your water down to low), you can make your filling. One of the coolest things about making your own cups is that you can fill with lots of interesting stuff. Although I still like peanut butter as a base, here are a few other things you can add to the mix. Peanut butter by itself is too moist in my opinion to make a good filling. You need to thicken it up a bit. I think the best way to do this is with the sugar and honey that I added in the recipe. If you mix in the sugar and the honey, you’ll end up with a creamy filling that is much thicker than normal peanut butter. It will hold up well against the chocolate. I also mixed some cinnamon into one batch and some cayenne into the other. Both were good ideas. I would say about a tablespoon per cup is a good idea. Much more than that and your cup will overflow if you know what I mean. Make sure you smooth out the filling using a knife so you have a sort of level surface for your top chocolate layer. Make sure to spread out the filling evenly. After you spoon in the filling, put your cups back in the freezer for 10 minutes or so. Keeping everything really cold makes it much easier to work with. These guys get easier as you go. The top level of chocolate is the easiest. Again, using a knife, spread on some of your chocolate. You don’t want the chocolate layer too thick, but try not to have any peanut butter peeking through. Stick these back in the freezer for 15 minutes to set and then move them to the fridge to store. The chocolate is really good, but mine would start to melt at room temperature after a few minutes so I just stored them in the fridge. This was a finalized cup. The foil comes right off. I have a thing for spicy food and I definitely like savory desserts so the cayenne version was my favorite. The cinnamon version got pretty solid reviews at book club also. So even if you didn’t have time to read this whole post (like I didn’t have time to read the book), and you just decided to skip to the end. Here it is: Make these. They are delicious. Oooh, the cayenne version sounds EXCELLENT! Man, nice! My wife was asking me about what would be the easiest recipe to do just the other day. I spent last night rolling out a frickin dough for an "Orea" that just sucked. I wish I knew about this one last night, would have saved a headache. If you are using couvature chocolate, and have moulds, once the chocolate is tempered, you just throw it into them. After a couple of seconds, you tap the bottoms, and upend the chocolate out. That might work for you with the "coating" chocolate. Anything to make it easier! Sounds delicious. Want to make them right now, but first I need to finish slobbering over the pictures. The ultimate splurge. For me peanut butter + dark chocolate = HEAVEN. Thanks for showing me how doable this at home. Altho, I'm not sure that I trust myself enough to have more than one of these little gems around at one time. :-) Maybe I will take your recipe and try to put my own healthy spin on it. I'll let you know how it turns out. I had a boyfriend. He hated peanut butter. I no longer have that boyfriend. The end. I think your homemade tins give these style! Those look very addicting and yummy. @ Mama… sorry for ruining swimsuit season. WORTH IT THOUGH. I’m definitely definitely making these! Wow, just made these. They were fun to make (I couldn't find any metal tins so made my own too!) & SUPER YUMMY! I did not put any spice in my peanut butter mixture but might try that next time. I did make only 18 and used more chocolate than your recipe but that's just because I'm a chocoholic. Thanks for sharing!!! these look awesome! I'm a fan of peanut/almond butter and chocolate anything. I think I'm going to give this recipe a whirl with some almond butter and I'll swap out the spice for a splash or orange liquor. Oooh, I'll bet no-one even noticed that you didn't read the book because they were too busy noshing on these little yummies. They look fantastic! For future reference, use mini-cupcake liners. Paper ones are fine. And you can use a paintbrush to get the chocolate in the bottom and up the sides. Just make sure it's really clean. And if you make mini ones, you just get more! Another great filling add-in to peanut butter is graham cracker crumbs. They give a great texture, similar to Reese's peanut butter cups.